I am often asked about my career in acting. I was even asked about it by the crew of Swallows and Amazons as we climbed in and out of boats on Derwentwater back in 1973. There was much speculation. The truth was that I was always really more interested in what was happening behind the camera, and how the story was told, than I was in our performances. I had an empathy for the men who had to keep changing carefully made arrangements when the clouds rolled in. Whilst I was always interested in set dressing I loved aiding and abetting Terry Needham, the second assistant director, with whom we naturally spent a great deal of time. The 2nd July 1973 must have been a busy day for him. A maddening day really. Whilst I was in front of the camera, delivering the line that fore-shadows the adventurous section of Arthur Ransome’s story, Terry Needham would have been busy planning who would go out in which boat and when. Just as important really. 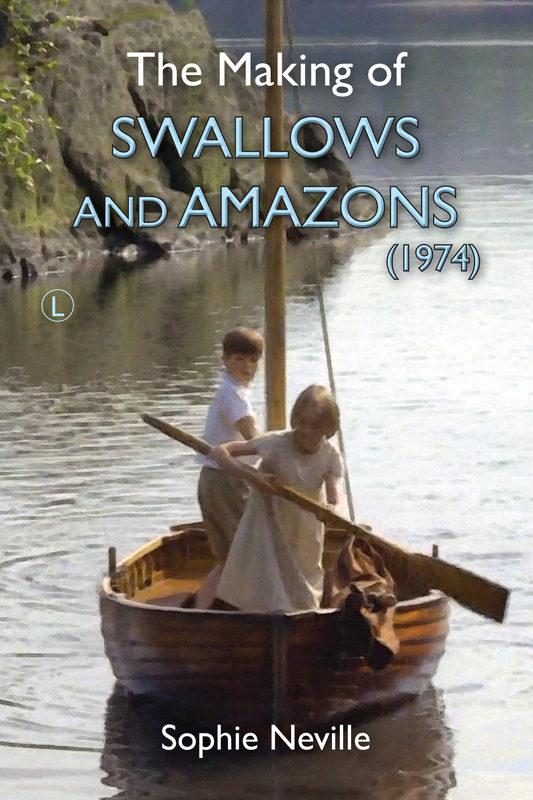 Whilst filming out on the lakes ‘Swallows and Amazons’ was far more complicated than most movies to stage manage. Terry needed to have what Claude Whatham called his ‘Artistes standing-by, ready on set’ when the set in question was a boat moored out in a lake. In reality this meant that the film actor Ronald Fraser had to wait around on the houseboat with Costume, Make-up and Props, whilst the sun tried to decide whether to come out. Terry Needham, ever straight forward and prosaic, also had to make provision for a number of extra people who wanted to try and watch the action, notably Albert Clarke, the stills photographer, and the Producer, Richard Pilbrow who was often looking after journalists from major newspapers and magazines. We were making a movie that needed to be well publicised if it was to succeed. What made Terry’s job even more demanding than usual was that since we were all under the age of sixteen we still had to complete at least three hours schooling a day. I was only meant to spend three hours a day in front of the camera and leave at 5.00pm. This meant that, unlike Ronnie Fraser, we had to be collected from our red bus and taken over the water to our set at the last possible moment when the camera and crew were ready to roll. As Swallow, our clinker-built dinghy, was wired to a floating pontoon, the job of our loyal Lakeland boatmen was particularly important. Can anyone tell me the name of this chap, in the photo below? Terry Needham also had to take into consideration the numbers of people licensed to be in each support boat. Although a period film, our clothes were simple, so we didn’t need the contingent of dressers and make-up artists typically demanded by costume dramas. However life-jackets were a must and wherever we went one of our licensed chaperones had to come too. Since Mum stayed at our guesthouse in Ambleside with Kit Seymour who was ill with ‘flu that day, it was Jane Grendon came out on the lake with us. It was her son Sten, playing the Boy Roger, who walked off the jetty into the water. Poor Jane was pushed in fully clothed. Suzanna Hamilton also fell in – or so she claims. What a nightmare for Terry Needham. Terry survived to have the most prestigious career in film. Whilst he worked as an assistant director for Stanley Kubrick on The Shining (would Jack Nicholson have been easier to manage than us lot?) Terry was unit manager on Empire of the Sun for Stephen Speilberg and the first assistant director on such classic movies as Full Metal Jacket, Rambo III, A Man for All Seasons, The Field, The Golden Compass and Clash of the Titans. I only list a few of his many credits. He worked for Ridley Scott as Associate Producer and First Assistant on White Squall, G.I.Jane, Gladiator, Hannibal and Black Hawk Down – all gigantium tasks – and was Executive Producer of Red Dragon, and Kingdom of Heaven, again for Ridely Scott. He is still working on movies. What changes he must have seen. I wonder if he can remember that far distant summer spent in the Lake District? I would not have had the physical strength to follow in Terry’s footsteps. It was his job – plus a bit of work with action props and set dressing – that I found myself busy doing at the BBC when I was an Assistant Floor Manager on big costume dramas. I was exhausted after about four years. The walky-talky I found so attractive aged twelve became rather heavy on my hip. I have a Polaroid photograph of myself looking tired out when working as a Location Manager in Bayswater, kept to remind myself not to accept such work again. Perhaps I should have taken the Bette Davis route after all. I might have had Terry looking after me again. You can see Terry Needham with his portable radio at the end of this short 16mm film clip that was shot a couple of days later on Coniston Water. The pushings-in were still all the rage.